Abu Dhabi is 3 amazing destinations in one. Here's proof. HOME TO MORE THAN 1.5 million people and one of the most futuristic skylines on Earth, Abu Dhabi has the beach clubs and year-round sunshine of Miami combined with the level of glitz and glamor you could only find in a city that launched one of the most expensive hotels ever built. But the capital of the UAE also celebrates its rich Emirati heritage: bartering in souks, sailing the Gulf on traditional dhows — you can do it all here. The city’s also on its way to becoming one of the Middle East’s most important cultural districts with the opening of branches of the Louvre and Guggenheim museums. And Abu Dhabi isn’t just a city. It’s a desert emirate — the largest of the seven emirates that make up the UAE — dotted with oasis towns, date farms, historic forts and palaces, natural reserves, mangroves, and dunes that have lured explorers throughout history. City, oasis, desert…here’s how Abu Dhabi is actually three destinations in one. Walking into the Sheikh Zayed Grand Mosque is an incredible experience, no matter how many times you’ve seen it. Chandeliers made of Swarovski crystals and gold; the world’s largest handmade carpet, which took 1,200 craftsmen two years to design, tie its 2,268,000,000 knots, and weave the pieces together before it was finished; 82 domes; marble walls and 351-foot minarets surrounded by reflecting pools; a unique lighting system designed to reflect the phases of the moon…there’s a reason why Sheikh Zayed Grand Mosque has been voted the world’s second-favorite landmark by TripAdvisor users. With capacity for 41,000 visitors, Sheikh Zayed Grand Mosque is one of largest mosques on the planet and receives pilgrims from all over the world during Eid celebrations. Outside of prayer times, it’s also open to non-Muslims. The free, 45- to 60-minute guided tours are an excellent way to learn and ask questions about Islamic culture. It’s the ultimate place to fulfill your need for speed. 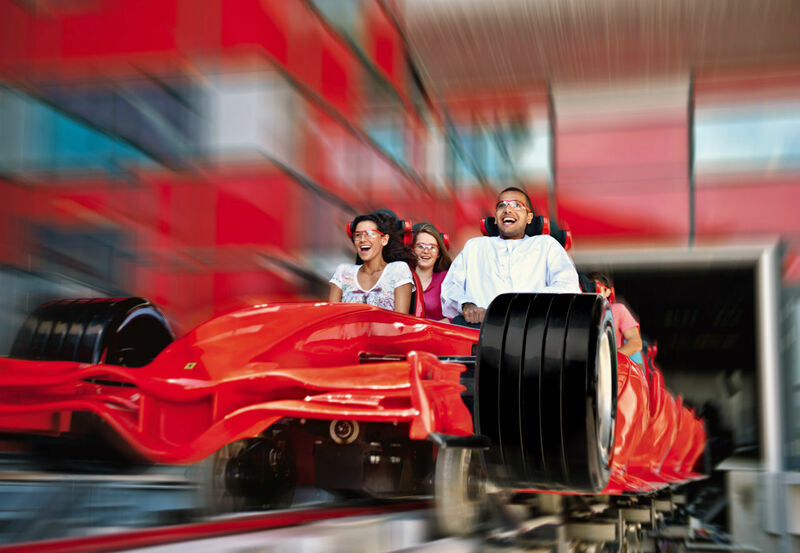 At Ferrari World Abu Dhabi on Yas Island — the city’s adrenaline hub — you can experience the world’s fastest roller coaster at mind-blowing speeds of 149 mph. You can even do your best Sebastian Vettel impression in a 4.7-litre V8 Aston Martin or 6.2-litre V8 Chevrolet Camaro at the Yas Marina Circuit, where the Formula 1 Etihad Airways Abu Dhabi Grand Prix takes place every November. And in a couple of years the Warner Bros. theme park and hotel — a world first — will also open on Yas Island. Prepare for wild rides that would make Batman and Superman proud. Kids don’t have to miss out on the action either. They can become Junior GT Ferrari Drivers at the Ferrari Driving School and navigate traffic lights and roundabouts under the guidance of expert instructors. At Yas Waterworld, kids can also try out rides like the dizzying looping water slide, an interactive treasure hunt, and a suspended roller coaster — complete with lasers. Beach life is never far away. With 200 islands off its roughly 400 miles of coastline, Abu Dhabi has plenty of great beaches, and some of the best are right in the city. On weekends, the cool kids head to beach clubs like Yas Beach to sip cocktails from an infinity pool that overlooks the mangroves. Stay after sunset to party outside to the sounds of the DJ. 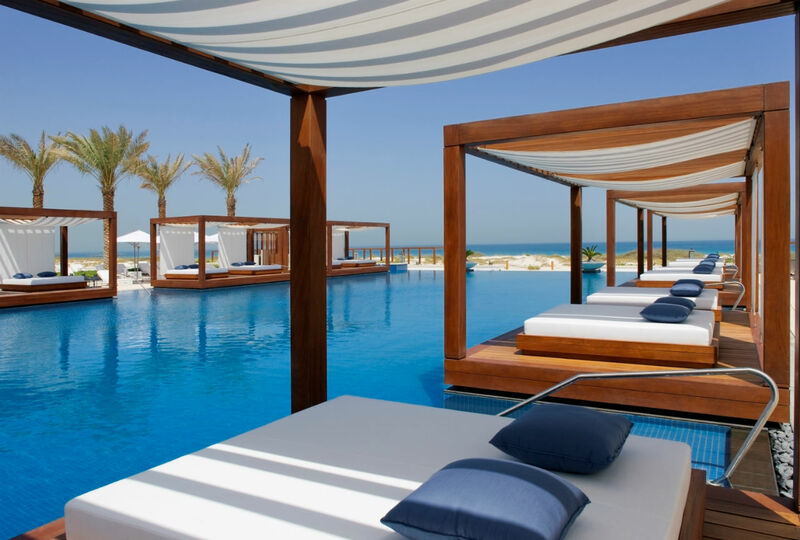 At Saadiyat Beach Club, you can do much more than lie on the white sand — there’s a spa, jacuzzi, sauna, plunge pools, multiple restaurants and lounges, and private beachfront bungalows…plus a beachfront golf course. It’s home to a hospital you actually want to visit. The falcon is the national bird of the UAE, a symbol of strength and courage. 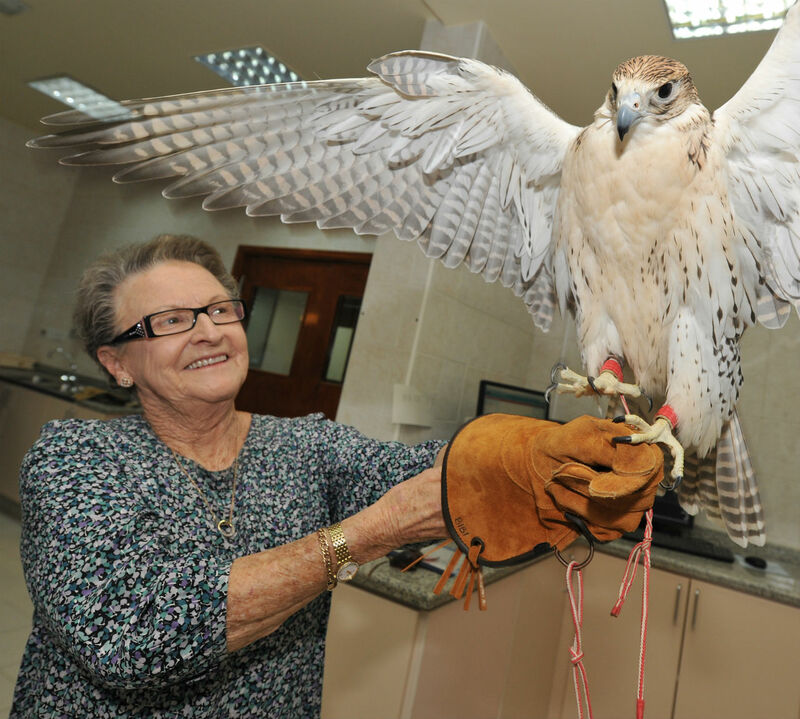 Owners from across the Gulf bring their birds to the world-leading Abu Dhabi Falcon Hospital every day, where veterinarians treat 11,200 falcons per year. On a visit (it’s necessary to book ahead online), you’ll get to see falcons and other recovering birds fly around the aviary, tour the falconry museum, and see the treatment room where hooded raptors receive pedicures and feather repairs. Let a falcon perch on your arm and you’ll also get the ultimate Instagram snap. This is the greenest emirate in the country. Most first-timers can’t believe the quiet city of Al Ain, two hours east of the capital, is part of Abu Dhabi. Here there are no skyscrapers, date palms line the narrow roads, there’s hardly any traffic, and the names of stores are in Arabic. 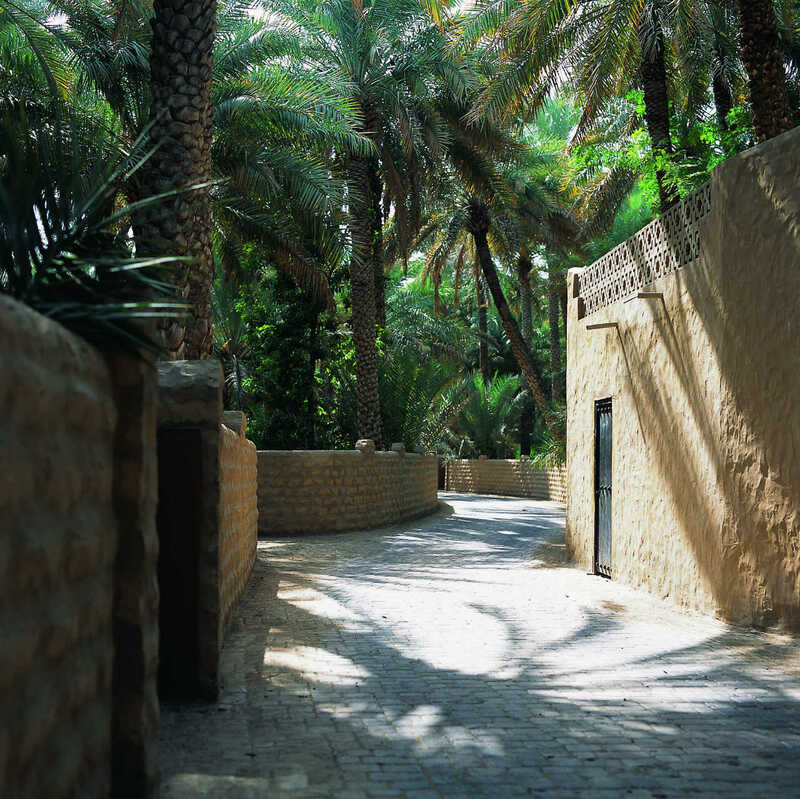 Once a vital oasis on the caravan route between Oman and the UAE, Al Ain is surrounded by six oases fed by the underground falaj irrigation system dating back to 1,000 BC, and is the birthplace of the late founder of the UAE, His Highness Sheikh Zayed Bin Sultan Al Nahyan. Sheikh Zayed is responsible for maintaining Al Ain’s tranquility by imposing height limits on buildings and spearheading the development of projects such as Green Mubazzarah, where you can rent a chalet surrounded by manicured lawns and enjoy natural hot springs at the base of the Jebel Hafeet mountains. 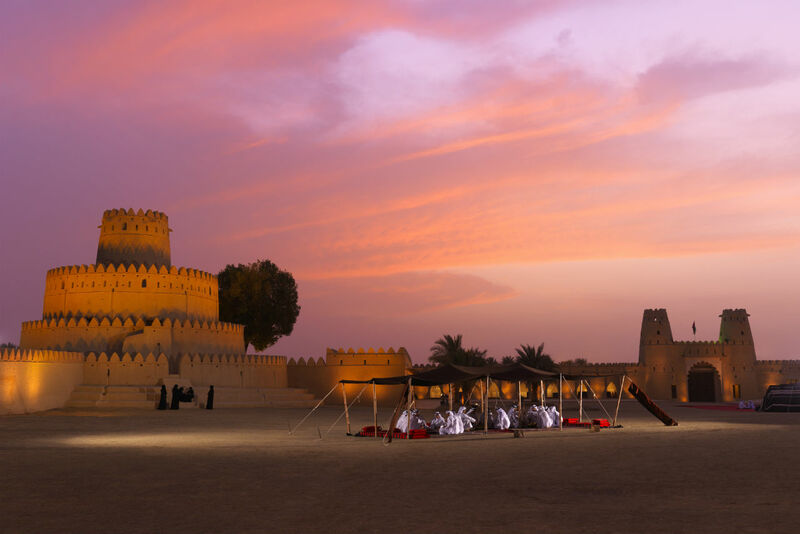 Al Ain is a UNESCO World Heritage Site where you can explore Emirati history. Al Ain is also the place to go to find the most direct glimpse of Emirati history in the UAE. This is one of the world’s oldest continually inhabited settlements, where visitors can get real insight into the traditions of the country. To discover the origins of the UAE, visit Al Ain National Museum, featuring 4,000-year-old pottery and coins, golden swords, and traditional musical instruments; the beautiful Al Ain Palace Museum, once home to the royal family; the fairytale-like, 19th-century Al Jahili Fort; the stunning Qasr Al Muwaiji, a new museum and exhibition space which tells the story of the UNESCO World Heritage Sites across the city and celebrates the birthplace of UAE president HH Sheikh Khalifa bin Zayed al Nahyan; and Hili Archaeological Garden, a UNESCO World Heritage Site near Fossil Valley that’s home to 5,000-year-old petrogylphs and Bronze Age settlements. The Al Ain Camel Market is as authentic as it gets. 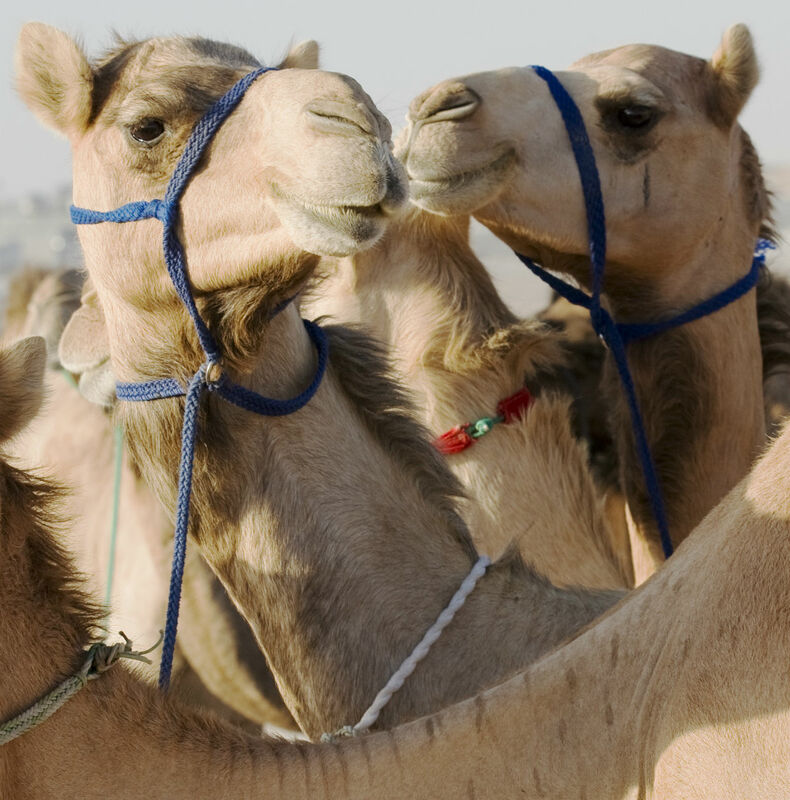 The largest livestock market in the country is open every day at the Al Ain Camel Market. You’ll find yourself being led by proud owners to newborns, young camels, and long-legged race-bred studs for photo opps (it’s a nice gesture to make a small payment). Visit on a busy day and you’ll be treated to persuasive but friendly market banter with potential buyers. This is real desert, and a truly surreal landscape. 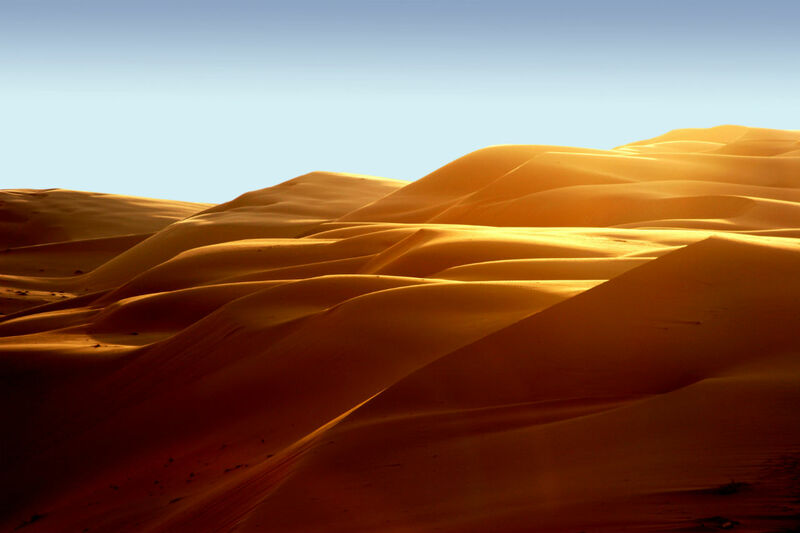 Rub Al Khali, or the Empty Quarter, is the largest and least forgiving desert on the Arabian Peninsula, where the shifting sands reflect the gold and red-streaked sunsets. An occasional sighting of the endangered Arabian oryx is a welcome bonus on a tour through this unique place. …and it’s just the place for a desert safari. Organize your trip with one of the emirate’s many outfitters and get picked up from your hotel in a 4×4. Time to head deep into the world’s largest contiguous sand desert for “dune bashing” — ripping around mini sand mountains — sand surfing, quad biking and camel trekking, and a big Arabic barbecue with other dune warriors while the sun sets. This is the only desert in the world that hosts a beauty pageant. Every December, those in the know make the journey to the 15-day Al Dhafra Festival in Liwa, a unique festival celebrating Emirati culture and heritage. The highlight of this event is the Mazayna — a beauty contest featuring over 25,000 camels from the UAE, Saudi Arabia, Qatar, Oman, Kuwait, Jordan, and Yemen. 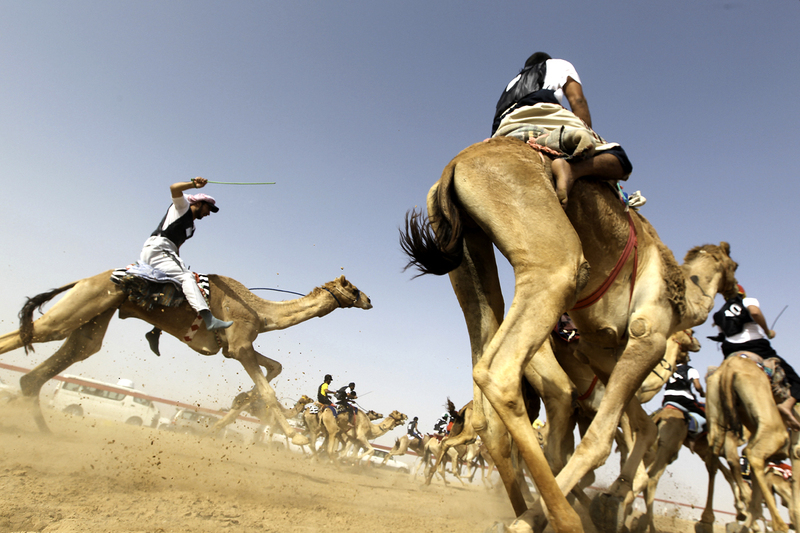 The animals and their owners journey across the desert in caravans to compete for prizes worth around $15 million. Other events worth watching are the classic car contest, camel racing, horse racing, a dog race of purebred Arabian salukis, and — of course — falconry.